Here few shots during the reduction firing around 3am. It’s always amazing when you see a kiln during firing, specially at night when it’s dark and when it’s so quite all around: the magic world of clay, the magic world of firing and, of course, the magic atmosphere of the surroundings. First look while Pietro is removing the bricks door. 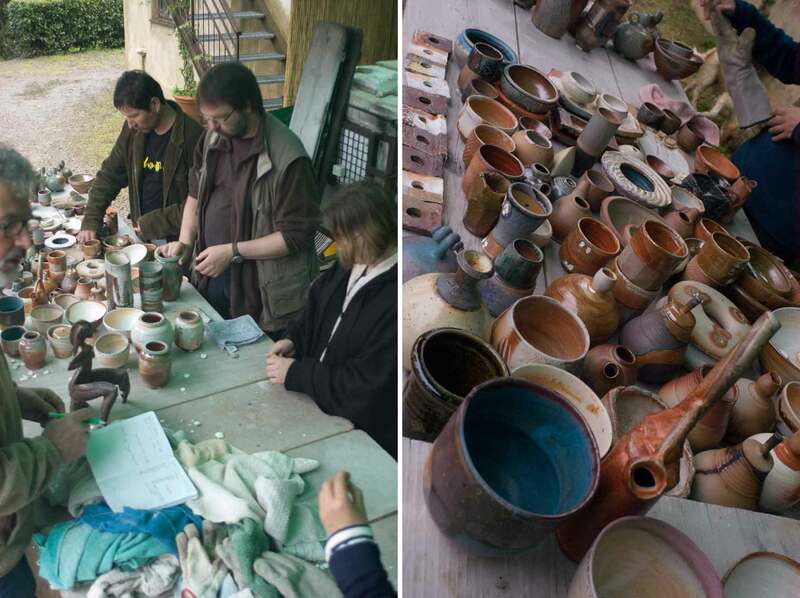 After a first look while Pietro was removing the bricks door, we started the “human chain” to unload the kiln and start the discussions about the pieces just fired.